B.S. (Meteorology), 1975, The Pennsylvania State University. M.S. (Meteorology), 1977, The Pennsylvania State University. Ph.D. (Meteorology), 1981, The Pennsylvania State University. My research interests are in the area of synoptic-dynamic meteorology, which is concerned with applying principles and concepts from mathematics and physics to understanding atmospheric phenomena and processes spanning global to regional scales. Phenomenological and process studies on these scales have the potential of contributing to improvements in the accuracy and fidelity of weather forecasts not only through advances in understanding, but also through refinement of the numerical and conceptual models used in weather-forecasting practice. 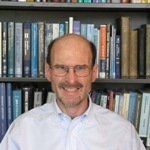 In conducting these studies, I have attempted to bridge the perennial gap between theory and observation through the application of dynamical models and diagnostics to selected types of weather systems, such as extratropical and tropical cyclones, fronts, jet streaks, coherent tropopause disturbances, banded precipitation systems, and inertia-gravity waves. Current research projects include: (i) cooperative research with the National Weather Service on cool- and warm-season precipitation forecasting over the northeastern United States; (ii) observational studies of high-impact weather associated with inland tropical storms and large-amplitude inertia-gravity waves over the eastern United States; (iii) diagnostic studies of the potential impact of mesoscale boundaries in the planetary boundary layer and dry air aloft on fire weather in the eastern United States; (iv) phenomenological and predictability studies of western North Pacific tropical cyclones in relation to the Pacific jet stream; and (v) observational and idealized modeling studies of fronts in northern latitudes.